Available In: Regular size (3.9 in x 5.5 in) 5 count packages, Large Size (3.9 in x 7.9 in) 4 count packages. I hadn't uses the patches in awhile because I was using a tens machine. I bought a box tuner other day. I tried to use them, but the would not stick to my clean and dry back. I tried upper back and lower back, but they kept falling off. I tried and tried to get even one to stick, but they wouldn't. There wasn't anything sticky about them. We want to learn more about your experience. Give us a call at 1-800-223-0182. We're available Monday-Friday 9AM-5:30PM ET. When you call mention your username to our team. We hope to chat soon! Because they use the same name, I assumed it had the same ingredients as the Ultra Strength Cream (3 active ingredients) that is very effective. However the patches only have Menthol, nothing else. You can literally buy equivalent patches at Dollar Tree 2 for $1. 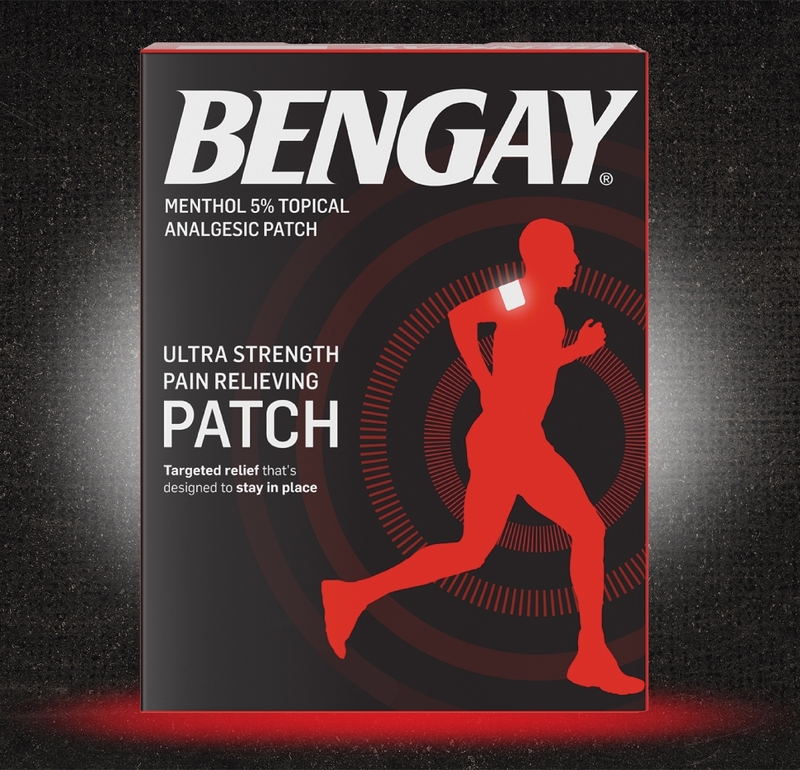 Also, the Bengay patches don't stick AT ALL. Like literally, no adhesion. Salonpas don't stick great but million times better than the Bengay patches, and much more effective at relieving pain. Sorry to hear that our product didn't work out how you hoped they would. We would like to learn more about your experience! Please give us a call at 1-877-895-3665 M-F between the hours of 9A-5:30P. Thank you and have a great day! Great product. I have pain in my elbow from golfing. Lasts for hours. Wont stick wasted majority of box! I bought these to have longterm relief from hip pain. I have used prescribed patched before with relief and thought these would work in the meantime. I cut like it said so I could target the area. But as soon as I cut it as it says you can do. I tried to put it on but it fell right off. I thought maybe I was still damp from the shower so I dried off the area again and same thing, So wasted.right into trash. Next one I decided to leave it whole and try. I knew I was dry so I peeled and put it on. Nope stuck for a second and right off. so I waited until the evening to try again..Same thing... But I used some tape like someone else. But no feeling of Ice or Hot... ?? so 3 patches... No relief..
We're sorry to hear this and want to help. Please give us a call at 1-800-223-0182. We're available Monday-Friday 9AM-5:30PM ET. We hope to speak with you soon. This product does not stick for even 5 minutes. I have horrible neck pain this thing make it worse only because I have to mess with it to keep it in place. Thanks for reaching out and leaving this review! We're so sorry to hear about the neck pain you're going through, and the trouble you're having with the patches sticking. We'd like to learn more about this experience you've had with our product and try to make this right. Please give us a call at 1-877-895-3665, Monday-Friday between 9A-5:30P ET. We look forward to talking with you! Having horrible neck kinkv to where I can barely move head side to side. These patches are a life saver! Put it in on the morning and I can continue on with my day with little to no pain. Put it on again before bed and am able to sleep. Only downfall is that I am having hard time finding in stores and I only have one left!! Ahhhh! Tried Ice Hot but doesn't work the same. Totally recommend this product! Thank you! This product does not stay on it rolls up if not on a mostly flat part of your body. We're so sorry to hear this, Lindy! If you'll stick with us, we'd like to learn more about the product you were using and help make things right for you. Please give us a call at 1-877-895-3665 from 9AM - 5:30PM ET, Monday through Friday. Thank you!